I know I am a little late to the party with this post but I had to mention it. 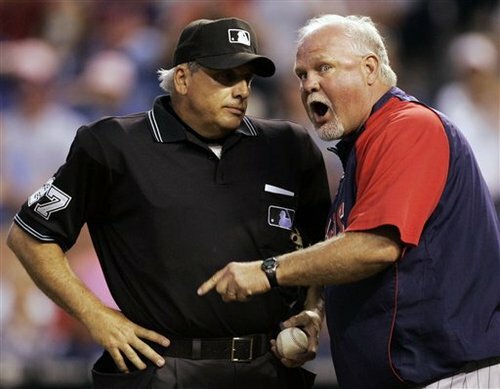 Shortly after being named the 2010 AL Manager of the Year, Ron Gardenhire has agreed to a two-year contract extension with the Twins, according to Joe Christensen of the Minneapolis Star Tribune. Gardenhire’s entire staff will also be signed for two years, keeping them signed through 2012. Gardenhire finished second in AL Manager of the Year voting five times before this year’s win. Gardenhire managed the Twins to 94 victories and a division title, despite missing potential 2010 MVP (until he was injured) Justin Morneau for half the season and All Star closer Joe Nathan since Spring Training. Gardenhire has been the skipper of the Twins for eight seasons, leading the team to a 803-656 (.550) record and six division championships during his tenure.